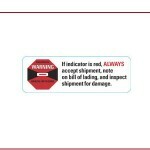 Shockwatch impact indicator labels reduce product mishandling. 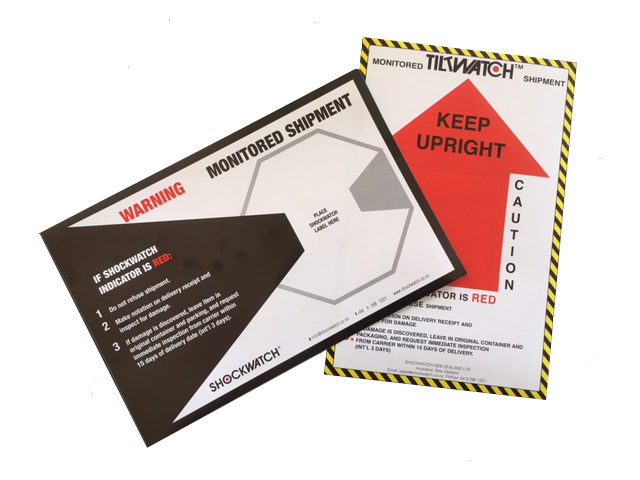 Providing a cost effective solution to reducing loss due to mishandling, Shockwatch impact indicator labels were designed over 35 years ago to indicate mishandling of products. 100 million labels and thousands of protected products later, Shockwatch has become the solution-of-choice for impact monitoring. 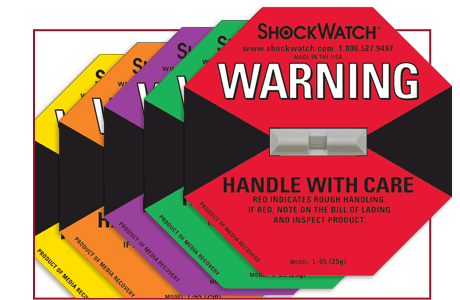 By mounting this single-use impact indicator directly to product packaging, Shockwatch impact indicators activate only when exposed to an impact beyond a desired threshold and turn bright red to indicate mishandling. The ability to report impacts on a near 360° axis and available in five G-force sensitivities assures that every size, weight, or surface area is monitored. Close the communication gap at the point of delivery with Shockwatch and Tiltwatch… the companion label series. contact the team at Shockwatch on 021 762 010 or Request a Quote. Site designed and built by Oncall Communications. © Shockwatch NZ Ltd, 2012-18. All rights reserved.